The suspicious death of David Braley. 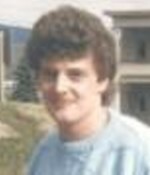 David Braley, a 21-year-old Belmont, NH resident, was last seen alive at the Take 5 Music Hall Night Club in Concord, NH on November 10, 1989. His body was pulled from the Merrimack River in Manchester, NH, on March 18, 1990. Police believe that David was involved in an altercation behind the nightclub that November evening and was badly beaten. Police believe that David's body was later dumped into the river. Although this case was not ruled a homicide by the state medical examiner, the circumstances surrounding David's death are suspicious and would suggest foul play was involved.